Let us prepare education savings for kids. When you fall in love, and at the moment when you take an oath faithfully when married, you would have to imagine a happy marriage, and then have a healthy and beautiful baby. After that you also want to prepare for the future of your children. The best way to do that is to provide them with a good education, so it is important that parents are financially ready for the child's education. Considering the high inflation rates school fees have experienced in the recent years, it is important that one should also include an investment plan for child education in that check list. When it comes to establishing a financial plan, check out some of these ideas that'll get you started! The first thing you should do is to save every month to your income aside, is to open a savings account at a bank. Make sure the savings are not used for any other purpose. 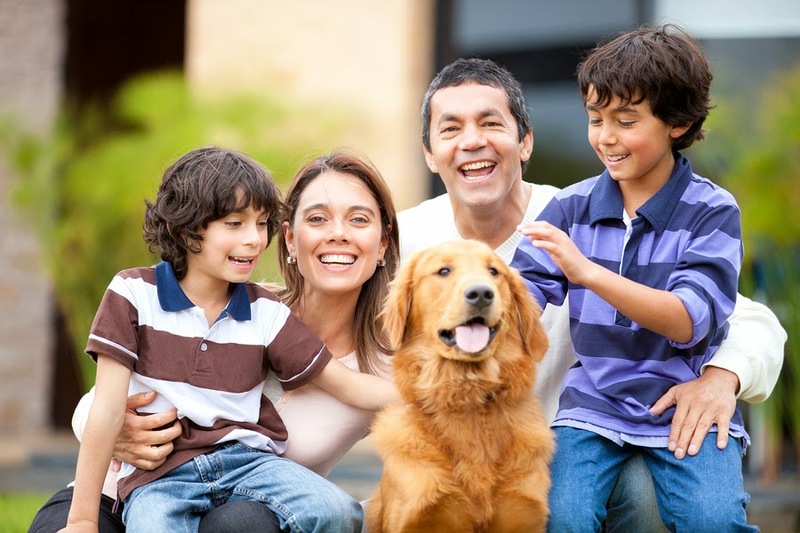 Similarly, if you are very wise to invest in insurance, then look for special insurance programs for the preparation of your child's education. This program should make sure your children get the money for college or university, even though you know that there is a chance your child will get a scholarship. There is an opinion in money.cnn.com mention that, saving for your own retirement is more important than saving for college. That argument has some truth, because your children can get college tuition to the university or college from a variety of sources. In the meantime, you should not be miserable because they do not have savings in old age, then you have to make a retirement plan when you start working. This you must do when you are young. True, you do not put off so that you can save for your retirement with less money. If you wait until you are 45 years of age, then you will pay more. The Money.cnn.com website also warned that the sooner you start saving, the better. Even modest savings can pack a punch if you give them enough time to grow. Investing just $ 100 a month for 18 years will yield $ 48,000, assuming an 8% average annual return. You can increase your deposit each time you get a raise or income, although you also have the right to enjoy life and follow the lifestyle, but be sure not profligate with your money. Think for financial engineering to increase your savings, both for retirement and for expenses your children's education, for example to buy bonds, stocks and mutual funds to invest in the scheme. You can seek the opinion and advice of a financial planner, financial manager or financial advisor. Just for your information: Stock funds historically have almost always exceeded other investments over periods of ten years or more. They will provide advice and proposals that suit your financial capabilities, and make sure you are not greedy with the hope you want to get significant results in a short time. Start investing with a moderate program, so you are not surprised when the economic events or economic disruption in our country or the global financial crisis. Additional advice: When you are discussing with your financial planner, which you want to set aside at this stage of education: early, secondary and tertiary education (college or university). Thus the financial adviser will understand your needs, as long as you honestly tell me about the income that you generate at this time. The financial planner will make some proposals best suit your condition and how likely with the passage of time, for example, the possibility of improvement in your career or your business. 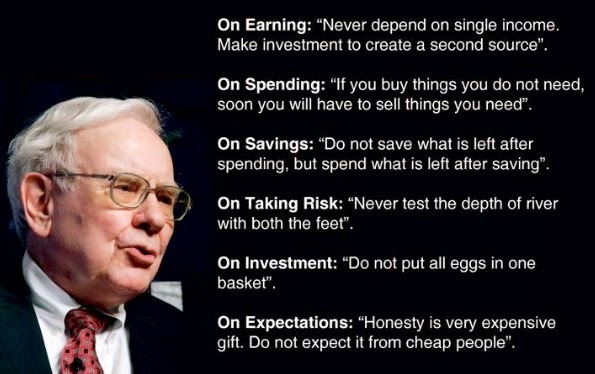 If you take the time to reflect on some of the famous quotes from Warren Buffet the "Guru of Finance" as you see in the photo above, then you can survive financially, either for retirement or for your children's education in the future. If you take the time to reflect on some of the famous quotes from the "Guru of Finance" as you see in the photo above, then you can survive financially, either for retirement or for your children's education in the future, and even you can retire young and retire rich, and you enjoy a prosperous life at a young age and upon retirement, and of course you can enjoy life more freely like a vacation to the paradise island, or have a nice home, and a dream vehicle. Your own future and the future of your children are equally important, so that it becomes your duty to prepare it together with your spouse. If you are a single parent, you probably will be working hard to realize your dreams, but every effort will always be a road, which is wide open for you and for your family.